Its 2 nameservers are rwsdns2.realpages.com, and rwsdns1.realpages.com. 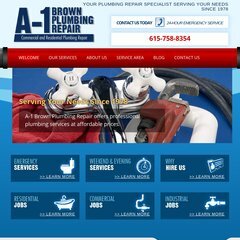 A1brownplumbingrepair.com's server IP number is 192.41.9.14. Icon Developments (Utah, Lindon) is the location of the Netscape-Enterprise/4 server.